Decorating the garden is a whole world. At ITEM International, we know how laborious, but at the same time how pleasant it is to work to have a lively garden. Each place needs a specific garden decoration and furniture, but with our range and selection of products, you will be able to choose which style you want to apply to your natural area. For people who like rustic styles, we have a wrought iron decoration and our bunches are the ideal items for them. On the other hand, for the ones who are looking for a colourful garden, our flowers and plants selection will be of their interest. Nevertheless, if what they are looking for is a place to spend some time with family and friends, our garden furniture will create the ideal atmosphere. Find out the boundless possibilities that ITEM International has prepared for your clients. 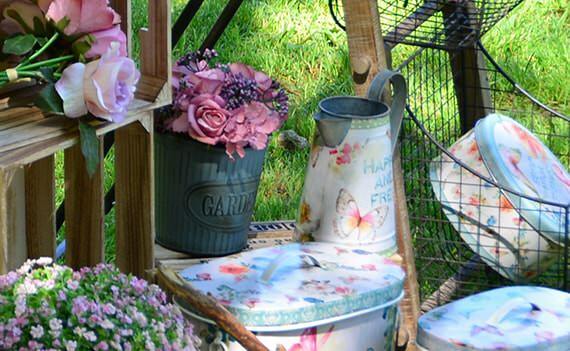 We are sure that our garden decoration and furniture will bring happiness among your clients.